I really love when a certain word has dual related meanings that reveal the way people understand certain concepts and make associations between them. I mean not just homonyms that sound the same, but ones that actually have a deeper connection between their different meanings. Theyâ€™re called polysemes. 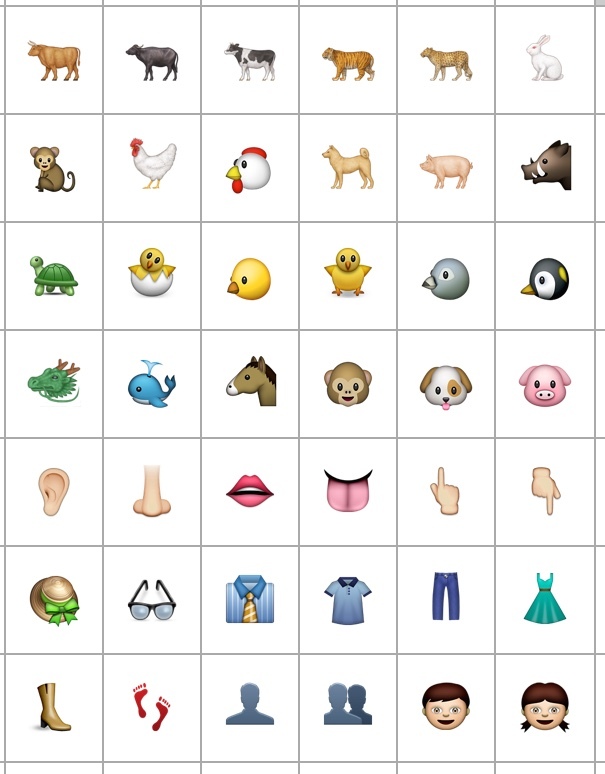 An example in English would be â€˜moleâ€™, meaning both an underground animal, and a person who goes undercover. 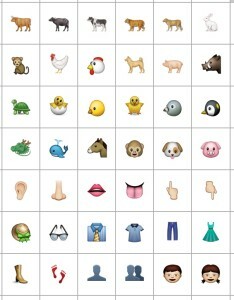 Another amusing example can be found here. with a sign representing a water skin- the phonetic symbol for the sound ‘shed’, with an alphabetic ‘d’ sign- a hand, and then a breast sign serving as a determinative for the overall meaning. As the breast symbol suggests, the word means â€˜to suckleâ€™ or breastfeed a young child. Itâ€™s alternate meaning, which obviously derives from the original, is â€˜to educate. Instead of meaning to nourish a young body with milk, it means to nourish a young mind with knowledge. Itâ€™s a beautiful parallel and gives us an insight into the importance literate Egyptians gave to educating their children. 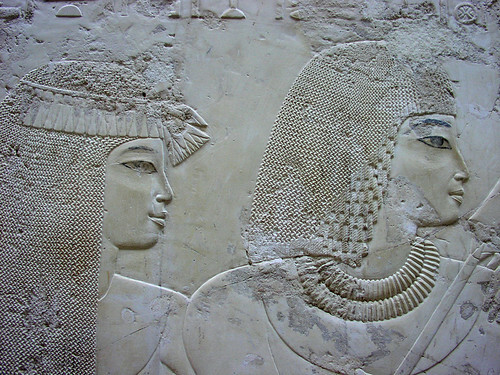 These ones are captions from the temple decorations at Karnak from the reigns of Hatshepsut and Thutmosis III, which show the Pharaoh being addressed by the goddesses of Upper and Lower Egypt, who were the symbolic mothers of the divine king of the Two Lands. Which means: â€˜I suckled you with my milkâ€™. While our versions of these words donâ€™t have the same nuances, English does make a similar connection between nourishment and knowledge, in such expressions as â€˜to chew things overâ€™, â€˜to ruminateâ€™ and of course, â€˜food for thoughtâ€™, and such verbal associations colour the way we think. Å¡di is yet another wonderful word that sheds a little light on how the Egyptians thought. 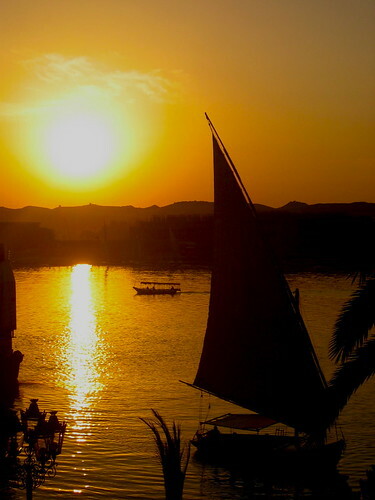 To the Egyptians, â€˜travelâ€™ was synonymous with â€˜water travelâ€™, and the Nile acted as the countryâ€™s superhighway. Since Egypt was entirely strung out along the fertile riverbanks of the life-giving Nile that served as the countryâ€™s backbone, the majority of travel and transportation was north-south oriented and much time and energy was saved by using boats. Therefore the words used to indicate north or southward movement were written with boat symbols. beginning with the phonetic sound â€˜á¸«ntâ€™â€”a symbol of three (or four) jars in a rack, the wavy water symbol that stands for the letter â€˜nâ€™, a loaf of bread for the letter â€˜tâ€™, and a determinative symbol to give a visual clue to the wordâ€™s meaning, in this case a hieroglyph of a boat with a raised sail. with the symbol for the letter round â€˜á¸«â€™, a circle filled with horizontal lines, the letter â€˜dâ€™ which was written with a hand, and a determinative depicting a boat with oars. You may have noticed that while both these words designate travel using boat determinatives they differ slightly, one being shown with oars and the other with sails. This is because the Egyptians reflected the realities of travel in how they wroteâ€”the word for southern travel is written with a sail because the prevailing wind in Egypt comes from the north and people travelling south would always make use of the helpful wind, harnessing its energy with sails, while the word for northern travel is written with oars, since anyone going north by boat would have had to travel against the wind, but following the flow of the river downstream towards the Mediterranean, using the water current and oars to propel the boat. Beautifully logical, isnâ€™t it? The visual dimension of Egyptian words means that they can often give us much more information about the culture beyond a literal reading and itâ€™s worth reading between the lines. 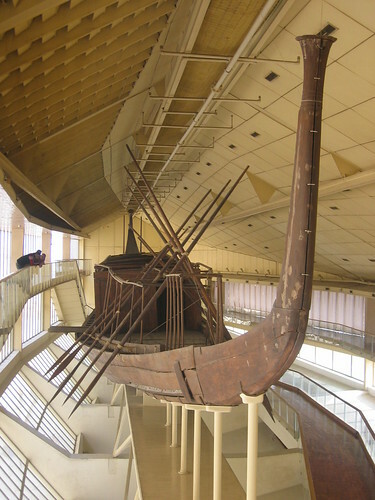 A full-sized boat built from cedar wood that was buried beside the Great Pyramid of Khufu, rebuilt and now on display at Giza. 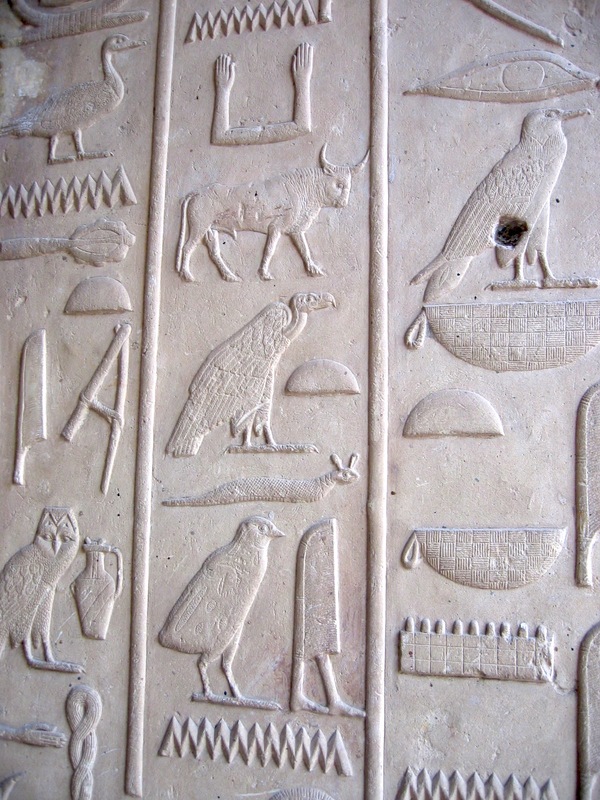 Iâ€™ve decided that it might be interesting to share some of my favourite Egyptian words each week, so that even if you donâ€™t read hieroglyphs, you can enjoy some of the flavour and character of the language that is often lost in translation. The basis of certain words and the special ways in which they were used can give us key insights into Egyptian culture and the way the people thought. For example, the Egyptians were very keen on puns or play-on-words, which often formed a key symbolic part of religious and political ideology. Also, although hieroglyphs werenâ€™t just simplistic representative pictures, their pictorial form was still significant and often exploited in art and texts. And sometimes itâ€™s not just our understanding of Egyptian culture that can be enlightened by examining Egyptian wordsâ€”sometimes itâ€™s our own culture as well. 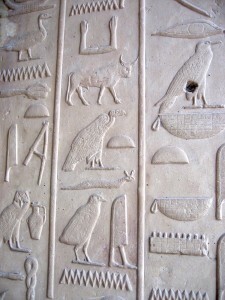 Some Egyptian words have made it into modern languages, including English. I remember learning one of my favourite examples of an Egyptian loan word into English back during my undergraduate degree in Toronto when we read an inscription about Queen Hatshepsutâ€™s trading expedition to the exotic land of Punt (which some argue is modern Eritrea). The word is hbny and you might be able to guess what the English loan word is! with the phonetic â€˜hâ€™ symbolâ€”a walled courtyard, the symbol for â€˜bâ€™â€”a leg, a plow sign that is the phonetic symbol for ‘hb’, the squiggly line depicting water that is the phonetic â€˜nâ€™ sign, two dashes representing the sound â€˜yâ€™, and a branch symbol acting as a determinative to the word to specify itâ€™s wood-related meaning. hbny is the word for the dark tropical hardwood that we call â€˜ebonyâ€™. Weâ€™ve just simply dropped the â€˜hâ€™ sound from the Egyptian word. The word was borrowed by the Greeks and entered into English. So whenever you say â€˜ebonyâ€™, bear in mind that youâ€™re speaking ancient Egyptian! Here is my translation of the above text transcribed in Sethe 1932, 126: ‘I returned with 300 donkeys, which were laden with incense, ebony, hekenu-oil, sat, moringa oil, panther skins, ivory tusks, throwsticks, and all good products’. 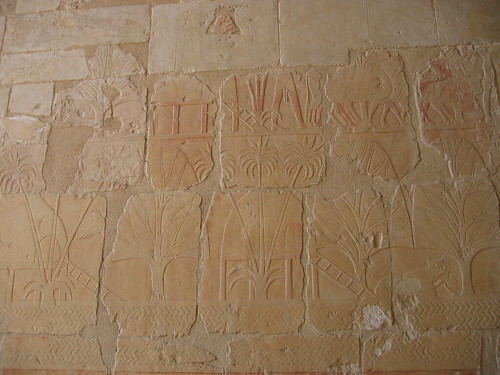 â€˜The loading of the ships very heavily with marvels of the country of Punt; all goodly fragrant woods of Godâ€™s Land, heaps of myrrh-resin, with fresh myrrh trees, with ebony and pure ivoryâ€¦Never was brought the like of this for any king who has been since the beginningâ€™ (translation from Breasted 1906-7 vol.2, 263-5). 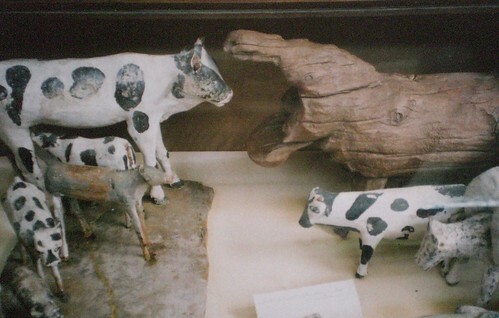 ‘hbny and ivory’. 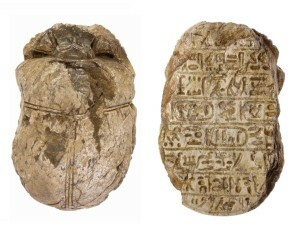 So it turns out that that old Paul McCartney and Stevie Wonder lyric is actually over three thousand years old! London has always had a fascination with ancient Egypt dating back to the ‘Egyptomania’ of Victorian times and today the city is recognized as one of the foremost centres of Egyptological research. 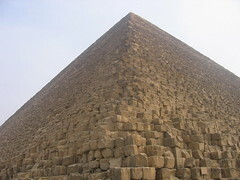 The collection of the British Museum is world renowned, as is its most famous exhibit, the Rosetta Stone. But there are many other less well-known but equally fascinating Egyptian treasures hidden throughout the city, from the great sarchophagus of King Seti I amongst the overflowing collection of curiosities at the Soane Museum, to Howard Carter’s grave, and Victorian houses adorned with sphinxes and obelisks. Google recently added a new feature that allows you to make your own customized maps, so I decided to compile a list of all the Egyptological places in London, many that I love and others that I hope to visit soon myself. To explore London’s ancient Egyptian side, please go to the full screen version of the map here. And here’s a link to the Google Earth KML file. 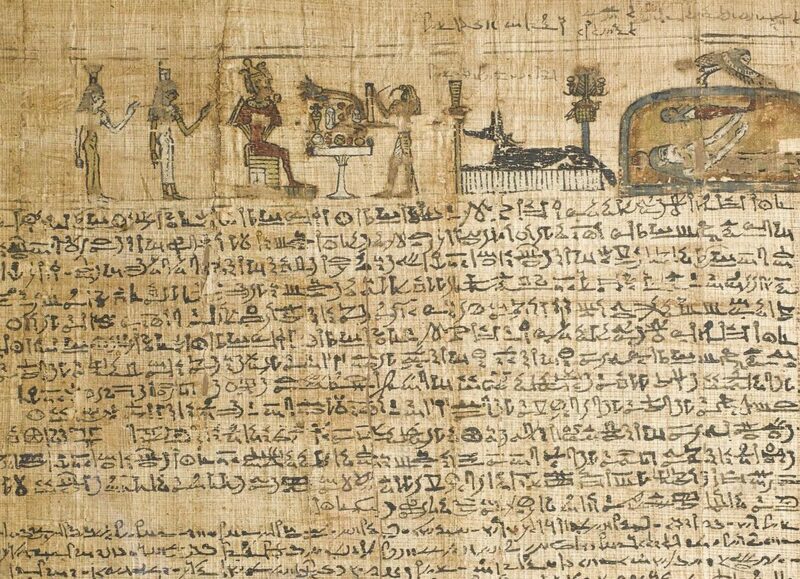 I stumbled across the weblog of an acquaintance of mine and found that he’d written a quite nice ‘History of Ancient Egypt in Ten Paragraphs’. It’s just a summary so obviously much is left unsaid, but it is still a good overview of an astonishing 3000 years of history.